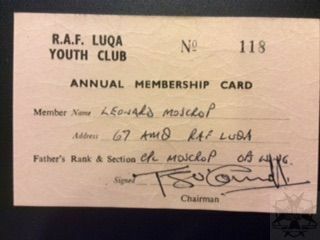 RAF Luqa Youthclub membership card. This is undated but from 1972 I think, so I assume my membership is current! Interestingly I never knew our address was 67 AMQ!